Take a flight from Indore at 05:10 Pm. Reach Mumbai at 06:15 Pm. Take a flight from Mumbai at 11:15 Am. Reach Kaulalumpur Airport at 06:55 Am. Take a flight from Kaulalumpur at 09:15 Am. Reach Bali Airport at 12:20 Pm. The island of god. On Arrival at Bali take on Arrival VISA & complete the custom process. Transfer to hotel. Check in at Hotel. Freshen up & Rest. Overnight at Hotel. After Breakfast enjoy Full Day Tour of Bedugul Temple on sic basis followed by Tanah Lot Temple on SIC basis.. Overnight at Hotel. After Breakfast In Afternoon Visit Sentosa Island Tour. (2 Way Transfers, Cable Car, Sea Aquarium, Wings of Time, Image of Singapore). Overnight at Hotel. After Breakfast visit Singapore City Tour. 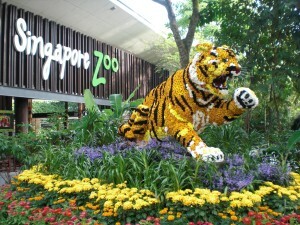 In Evening Visit Singapore Night out Tour– (Garden By the Bay, Marina Bay Sabds & River Taxi) Back to Hotel. Overnight at hotel. After Breakfast check out from Hotel. Day free for shopping after Proceed to airport. Take a flight from Singapore at 05:00 Pm. Reach Kualalumpur at 06:00 Pm. Take a flight from Kualalumpur 07:40 Pm. Reach Mumbai at 10:25 Pm.